From lawn mowers to strimmers and much, much more, Ernest Doe can provide you with the garden tools and machinery to keep your garden looking good. Whether you are looking for electric or petrol powered garden machinery, or simply handheld garden tools, our staff are trained to offer you the advice to help you make the choice that’s right for you. This could be anything from a garden trowel to a powerful garden tractor. And our service and parts teams will support you after purchase with any repair or servicing requirement that you may have. 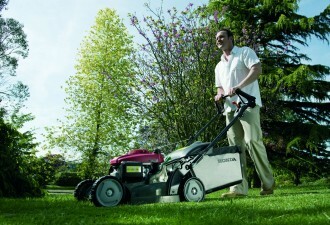 Each year we provide an in depth catalogue of all our garden equipment. Click on catalogue to the left to view. Perhaps the single most essential item of garden machinery, we have an extensive range from electric and petrol pedestrian mowers through to ride on mowers from manufacturers including Hayter, Honda, Viking, Bosch, Lawnflite, Allett, Westwood, Husqvarna and Cub Cadet. The bigger the garden, paddock or field, the more time and effort you will save by investing in the right garden machinery. For larger gardens and equestrian needs, garden or compact tractors and a range of useful attachments will keep you on top of the work. 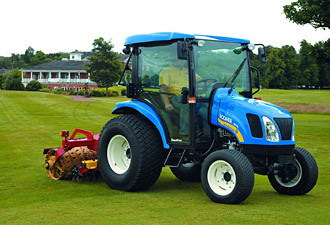 Iseki garden tractors are very popular and petrol and diesel models are available. Even more power is available from New Holland compact tractors, one of the world’s most innovative tractor manufacturers. Few gardens exist without the need for powered garden tools such as strimmers, hedge trimmers, chainsaws, blower vacs, shredders, tillers or pressure washers. 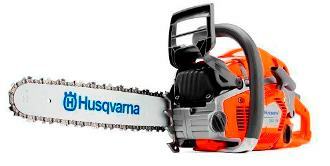 We stock products from top brand garden machinery manufacturers Stihl, Husqvarna, Honda, Viking, Bosch and Karcher. Garden machinery is available at Ernest Doe branches in Suffolk, Norfolk, Essex, Cambridgeshire, Hertfordshire, Kent, East Sussex, West Sussex and Surrey.